As part of a larger home remodeling project this customer called Clean Plumbing in order to have their Water Heater removed and then replaced so that their dry wall could be repaired in one area of their home. Instead of replacing the old unit a brand new more efficient water heater was installed that will give them many more years of service at a great cost and energy savings. 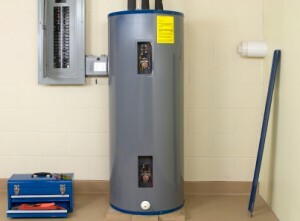 If you live near Rancho Niguel Road and Greenfield Drive in Laguna Niguel, CA and need your water heater repaired or replaced with a new, more efficient water heater please call Clean Plumbing at 714-402-7079 for immediate assistance. We repaired this Water Heater in Tustin, CA and we can repair yours, too! 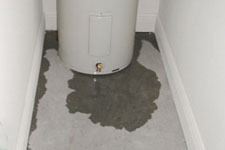 We had a customer call with an unusual situation: reduced hot water flow to the entire house. This meant that the problem was probably at the source. Our plumber went straight to the water heater and discovered a clog there. Once identified he was able to easily clear the clog and get the customer back in action. If live near Jamboree and Trevino in Tustin and you have unusual hot water supply problems or water heater issues and need an experienced plumber to diagnose and cure the problem call Clean Plumbing at 714-402-7079 for immediate assistance. Clean Plumbing installed a new 40 gallon water heater to replace a unit that was beyond repair. If you need a new water heater and live near Santa Margarita Parkway and Promenade in Mission Viejo, California feel free to call Clean Plumbing for immediate service – 714-402-7079.